Hi all! It's time for this month's review of the newest Stella Chroma PPU Sugar Scrub. If you missed my polish review, here's May the Schwarz Be With You! This month's featured scent is Cucumber Mint. This may seem like an odd combination, but I've has cucumber mint water many times! It's so good. I was so excited to get this and smell it! Good morning! Today is a special day for me and my boyfriend. We met a decade ago. WHOA! So I love that I somehow managed to post a polish called Felt with the Heart on this day, because I have all the feels right now! This Girly Bits polish is part of the Polish Pickup. Each month, more and more makers are contributing super special one-off polishes, available only for a three day period. This one has a cap, so you'll want to add it to your wishlist ASAP! I am super excited about today's polish, because it's inspired by a movie that I've seen too many times to count. And it's funny, because I didn't understand many of the references, since I hadn't seen a Star Wars until recently. But I still laughed as a kid, and still do now. Space Balls just holds a special place in my childhood, and I was super excited when Stella Chroma chose this as her inspiration. Good morning! I had to squeeze in Pusheen this month! Each month, I say I want to take a few weeks off from the blog, and I never get a chance. Especially now, since I am drowning in grading!! It's already past midterms. Where is the time going?! Anywho, mythical Pusheens run March and I had some fun glitters, so let's get to it! This month, Cynthia of Alter Ego went way out of the box, and I loooove it. This might be one of my favorite Alter Egos! She was inspired by his astrology sign, Cancer, for this polish, and it just came out so cool. Now I want one for Gemini! Remember, this special polish is only available through PPU so you don't want to forget to put it in your phone reminders. I have more unicorn flakes today! If you remember, or need a refresher, I posted color #5 HERE. I was so hyped up over them! I still am. I definitely need to place an order for the other 4 colors, but these flakes have everything! Hi all! It's Friday!! Stella Chroma rebranded just under a year ago, so she sent along a few polishes to swatch and also, to walk down memory lane. I pull out Stella Chromas all the time, but that's because I'm constantly doing art. Some only look at the new and we forgot to look at the history of these creators! So I have three to share with you today. Polish Pickup has a space theme for April. Blarghhhh, I was like will there be a million purples and navy blues. Boring. But I'm loving where everyone is going with their inspiration. Not darker colors here! KBShimmer has done it again with a super special PPU color! Every now and then, I get a collection that I just can't stop using. English Rose is one of those. I have used this collection in at least 5 manicures. The colors call to me and they are amazing with art. Remember my unicorn nails last week? Well, that was with this collection! I've also used it for gradients, bases for other art, and even just a plain mani! For the price point, you all need to grab this collection, but I love it! As you must know by now, KBShimmer has a new look! I selected a few core colors to revisit and swatch, and so you get the benefit of seeing them. Sometimes, we get so focused on the new, we forget the awesome catalog of core colors. So I chose some I had wanted for a while, and I'm so glad I got to test it out! Spring Break is officially over, so it's like a case of the Mondays times 100. Because of the 2 snow days before break, I've been off extra long. While this may sound fun, I go back to class tomorrow and receive no less than 103 papers. Multiple that by 4-6 pages. My eyes will fall out. Anyway, if you have a case of the Mondays, then let's lighten up your day with a new spring collection from Morgan Taylor. I actually love pastel cremes. It's basic, but then I guess I am. Royal Temptations has cremes, shimmers, metallics, and glitter. Something for everyone. YAY. I'm so excited to share Stella Chroma's current customs with Hella Handmade Creations. 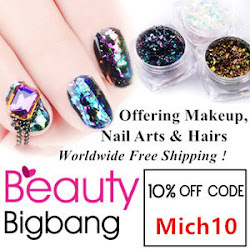 She has created exclusive polishes for those of you who are members in the group. And guess what, anyone can join the group! 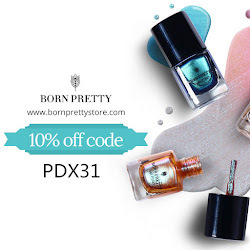 You'll want to since these polishes are only available through the end of March! Just a quick, little art today. Last year, I did this same look with the Zoya Spring 2017 collection and I felt like doing it again. I'm enjoying my week off for spring break. Originally, I planned to have lots to grade, but because there was a snow day before break, I couldn't give my midterm. That means, next week, I'll have 100s of papers to grade. YAY. So I'm enjoying the calm before the storm. I'm excited to share these two gorgeous polishes from Girly Bits today. The March Colors of the Month might be my favorites in recent month, of course, there's also April. I really love that there's also inspiration boards with the colors now. You should head to the Girly Bits Lovers Facebook group to see it. I won't delay, since these are so gorgeous. Get ready for a long post! It's currently snowing right now, and it will probably be the last snow of the season. So I'm snuggling in and typing up this huge post for you. KBShimmer recently shared that they updated their look! With the re-brand comes the Launch Party collection, a set of 8 multichrome magnetic polishes and a holographic top coat. Ok, grab your coffee and let's get to it! I received a huge package from Born Pretty, so I hope you don't mind me sharing a ton of products. I chose this duochrome stamping polish. I loved the idea of a shifting stamping polish, so I wanted to give it a try! More neon and rainbow! I prefer water decals for art, and I loved these fun designs. I gravitated toward to rainbow roses, so I was excited when these arrived! Why has this product not existed (at least to me) for a long time? If you enjoy stamping, or are more comfortable creating decals/reverse stamping on the stamper (like I do), then this is for you. It's like two stampers in one, and why not?! And I'm back with another Zoya collection! Between the awful weather on the weekends and two days off from work because of snow storms, I finally got to play around with some Zoyas! I am still way behind but am slowly catching up. I have more spring to show you! I will definitely be back with more from Thrive, since I really love this collection. I have an art in mind. Hi there! So unicorn cakes are all the rage and when The Ides of Polish posted the cutest unicorn mani, I knew I had to re-create it. Then the Lechat Dare to Wear English Rose collection arrived and I was like whoa, this is my unicorn mani!! I loved Kim's use of dotticure flowers, so I went with her theme. Blargh, these are cute. So, have you ever ordered something and just not paid attention? Or forgot what you ordered? Sometimes Born Pretty orders get to me in two weeks. Sometimes six weeks. This was a longer wait time, and well, I remembered this was a thermal, then my mouth dropped! I know, it's about time. Isn't Bridal season starting soon anyway? So I'm not so late. I shared my take on a French gradient last week, and today I'm here with swatches of the collection! These are all delicate and classic colors, definitely ones someone might want to wear on her wedding day. This a curated collection, so these are existing colors, with one new and very special color! Today is the day! Polish Pickup is book themed this month, and makers have been so creative with their inspirations and offerings. Girly Bits was inspired by The Princess Bride and the colors remind me of old Renaissance paintings haha. Let's get to it. Just one more day until Polish Pickup. I hope you have your wishlists ready and have this gorgeous lady on it. 6 Harts has been killing it lately with her creations for Polish Pickup and this month is really no different!